Ohana's Sienna 4 piece seating set is the perfect blend of warm traditional design with neutral colors of the contemporary look. Sophisticated edging with modern Dove Gray flat wicker makes this transitional piece flattering in any patio or outdoor setting. 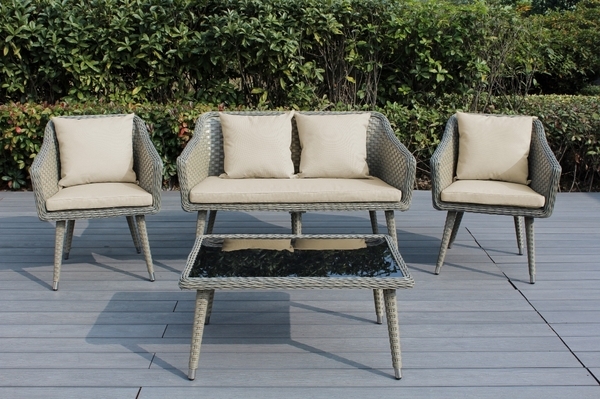 On top of beautiful aesthetics, this furniture set is built for durability. 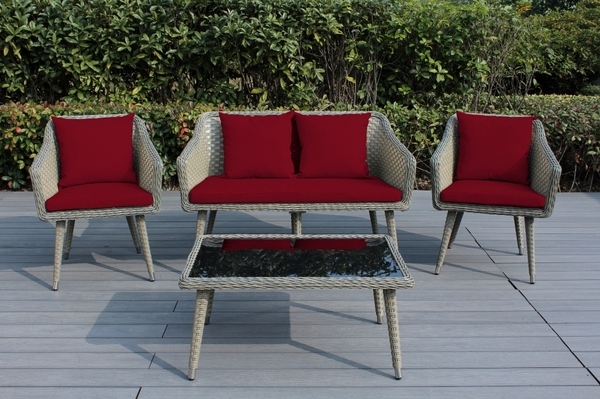 All weather resin wicker is handwoven around powder coated aluminum frame to withstand the elements. Comfortable cushions with zippered weather resistant fabric covers make it easy to use and take care. Chairs feature high legs for visual lightness and come with high quality hardware for easy assembly. 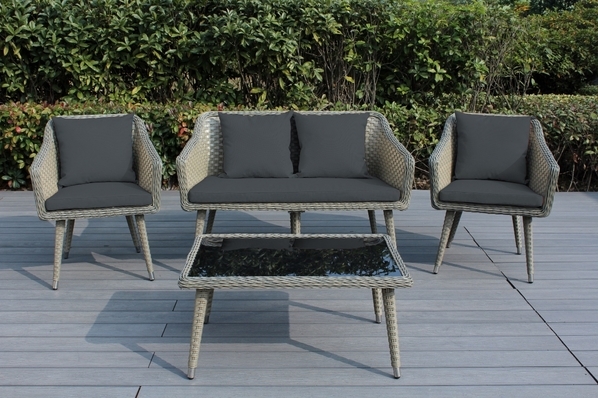 With 3 year warranty on framework, you will be sure to enjoy this outdoor seating set for years to come. Limited Time Sale: Now $999 with Extra $400 Off with Code 'M400'. Code can't combine with other promo or offer.